MOGADISHU, May 24 (Xinhua) -- Somalia's international partners on Thursday expressed concern about renewed clashes between Somaliland and Puntland forces in the outskirts of Tukaraq town in Sool region. In a joint statement, the United Nations, the European Union, the African Union, the Intergovernmental Authority on Development (IGAD) and the United States among other nations called for an immediate cease-fire and dialogue. "The international partners call on both sides to bring an immediate halt to the fighting, start dialogue between military commanders on the ground, secure humanitarian access for displaced persons, and enter into talks to discuss a separation of forces and an exchange of detained security personnel," the partners said. The statement came after heavy fighting broke out earlier Thursday between Puntland and Somaliland forces, with the use of heavy weaponry. The partners said the violence was taking place amid an already-difficult humanitarian situation that has recently been aggravated by the impact of tropical cyclone Sagar, noting that the clashes only add to the suffering of the people in the area. At least 25 people have been killed, 27 others are missing and hundreds of homes destroyed after Sagar caused heavy rains and flooding in Somaliland. 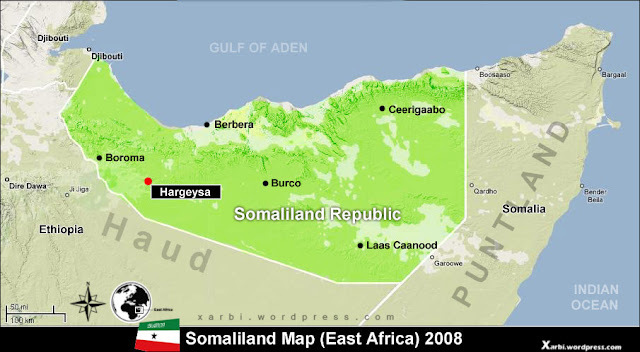 Tension has been simmering in Tukaraq in the past three months after Somaliland troops seized control of the strategic town in January following an incursion against Puntland Defense forces stationed there. The two regional Somali states have clashed since 2002 over control of disputed regions in northern Somalia.